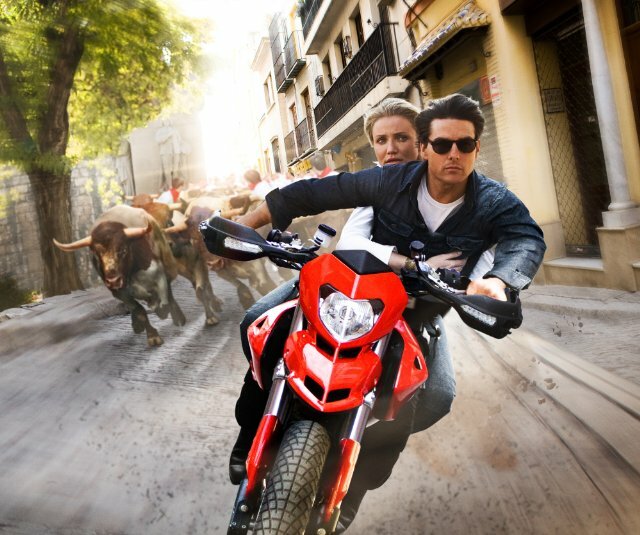 Mr Hollywood himself Tom Cruise teams with the gorgeous Cameron Diaz in crime caper Knight and Day. 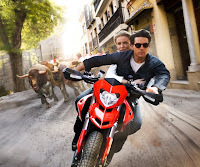 Cruise stars as a rogue agent whose run ins with June (Diaz) causes a rippling effect of non-stop action and high-flying romance as they run from country to country taking down everybody that attempts to take them down. Fantastic chemistry and enjoyable action culminates in a fun-filled, albeit shortly lived and unoriginal, Friday night at the movies. An exhilartaing dance flick that nails every dance-related bar. Everything else is just dire. Read the full review here. Disney's classic has maintained the sheer wonderment after all these years, displaying the very best in luscious animation and awe-inspiring, highly uplifting musical numbers. An undoubtable classic, not only for animation, but film itself. 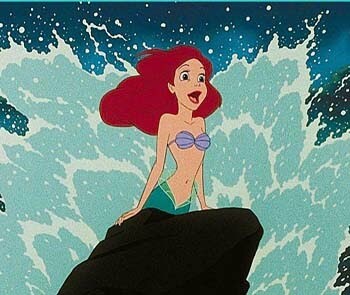 Another Disney epic standing firm today as one of the best of its kind, with the tale of the merfolk looking unarguably captivating undersea. A re-telling of Hans Christian Andersen's story about a young girl willing to give up her life under the sea to live on land with a handsome Prince. The final of this week's Disney features, forcing the well-known story of Treasure Island on its side and throwing a futuristic twist on the tale. Rebellious teen Jim Hawkins goes on the adventure of a lifetime by hitching a ride on an exploration ship and attempts to find a mystical planet known to most as 'Treasure Planet', but must defeat the legendary pirate Silver and his collection of no good bandits. Highly underrated animation, but the wonderful story fused with enjoyable voice talents (Joseph Gordon-Levitt, Emma Thompson) makes for a delightful 90 minutes. A raunchy teen comedy starring Eric Christian Olsen and Nicholas D'Agosto as two high school football players who decide to spend their summer at cheerleading camp, with the prime mission of getting as many girls as possible. An often laugh-out-loud, surprisingly well-written comedy that stands as the counterpart to Kirstin Dunst's Bring It On. Olsen and D'Agosto are also a memorable duo, with the hilarious John Michael Higgins co-starring as the camp's flamboyant, but oddly straight, coach. My personal favourite, with Orlando Bloom and the always joyous Kirstin Dunst teaming up in Cameron Crowe's partial biopic, Elizabethtown. After being fired from his job, potentially suicidal Bloom heads home to Elizabethtown for his Dad's funeral, unaware of the large, loud but loving family willing to help him. Cue love interest Claire, the larger-than-life stewardess brightening up Bloom's life. A wonderfully written, incredibly quirky and poignant story, fused with one of the best, and largest, movie soundtracks i've ever had the pleasure of hearing. Disney's partial homage to their classic Fantasia sees old-age sorcerer Balthazar (Nicolas Cage) attempting to find the true descendant to Merlin. Years in the search and he comes across Dave (Jay Baruchel), a seemingly ordinary New York student whose life turns upside down once recruited as Balthazar's apprentice. Throwing his everyday life aside, Dave learns the incredibly trickery needed to banish evil Morgana (Alice Krige) and her loyal sorcerer Alfred Molina. An enthralling, well acted and fast paced special effects laden adventure, proving to be one of the year's most exciting fantasy flicks. A truly pitiful excuse of a film. M. Night Shyamalan's live action adaptation of the classic Avatar: The Last Airbender cartoon proves to be one of the worst films of the year. Read the full review here. One of Brittany Murphy's last films sees her as a troubled writer forced to re-locate to an abandoned, Victorian house, only to fall victim to a chilling case including murdered wife Thora Birch and jealous husband Marc Blucas whose curious need to carry a camera first handedly unfolds the mystery behind their disappearance. A lackluster, scare-free 'horror' with Murphy falling victim to not only a boring haunting, but a badly written role. Disappointing fodder.